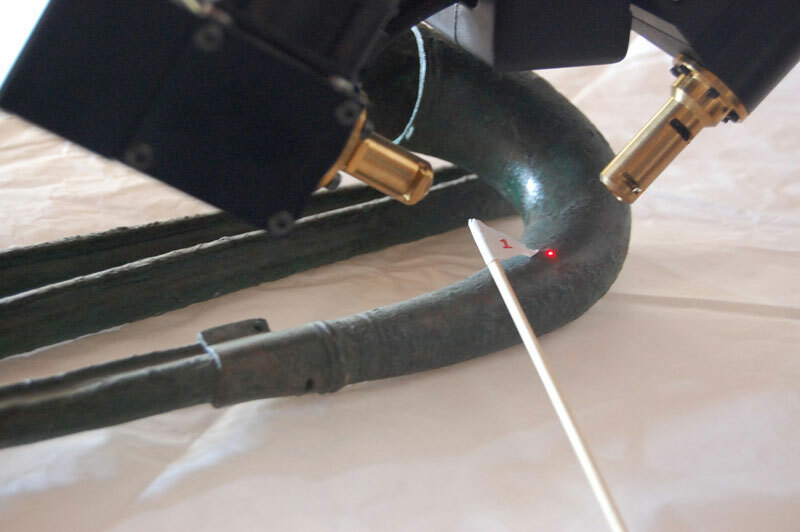 The three objects from the excavation of Pian di Civita were analysed by X-ray fluorescence (XRF) spectroscopy in the Archaeological Museum of Tarquinia, in a totally non-invasive modality and without any treatment of the surfaces, in order to characterize the compositions of the metal alloy. The objects were observed with the aid of a video microscope operating at magnification 50x and 200x. 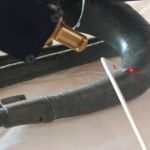 The analysis was performed by Giorgia Agresti and Claudia Pelosi, in the presence of the archaeologist Beatrice Casocavallo. 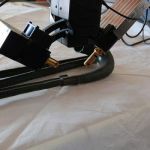 Due to the presence of oxidation layers on the surfaces of the objects, it was necessary to remove these layers in order to obtain real data on the composition of the alloy. 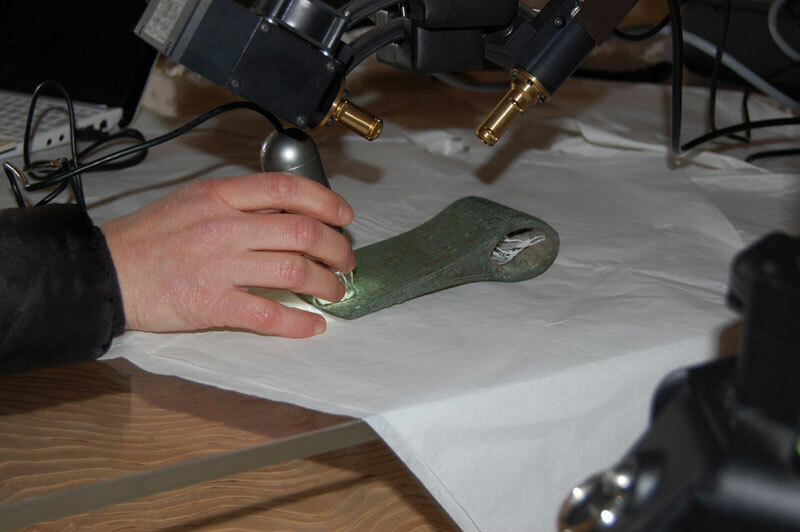 In fact, as XRF analyses the surfaces, the measurements are influenced by the presence of materials superimposed to the original. 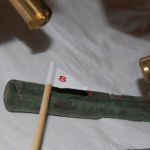 For this reason, further analysis was performed by XRF spectroscopy after the removal of a little area (about 1 mm) of oxidation layers. On that occasion, the radiography of the lituus was also performed by Claudio Falcucci – M.I.D.A. society from Rome. 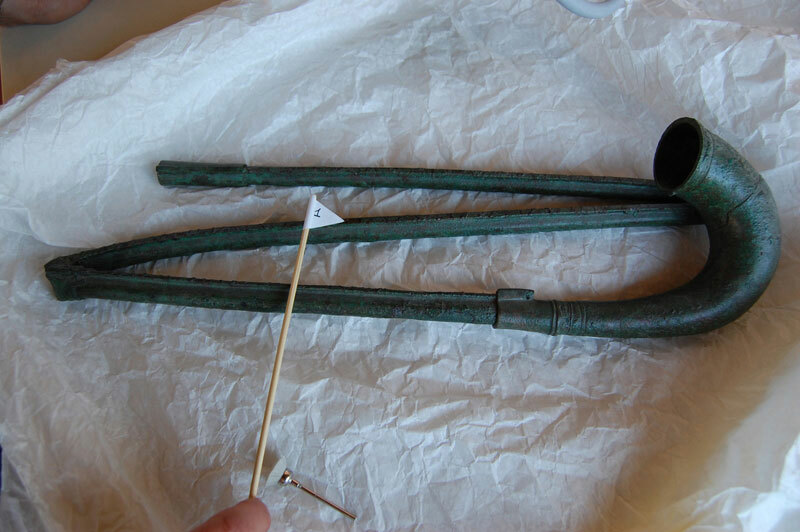 The three objects were examined in the Archaeological Museum of Tarquinia. 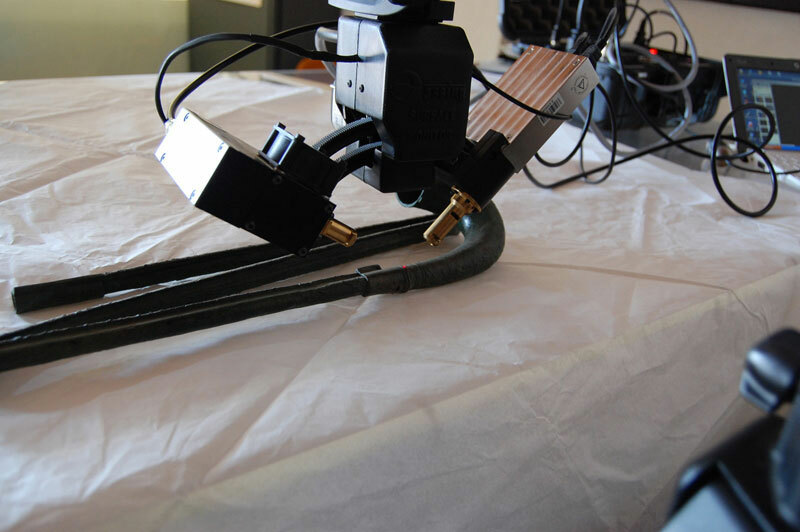 The XRF analysis was performed by Giorgia Agresti and Claudia Pelosi, with the support of Emiliano Li Castro. 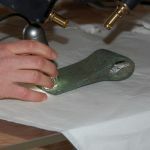 The removal of the oxidation layer was performed by the restorer Emanuele Ioppolo. 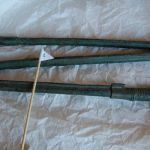 Main results: the alloys were made of copper and tin in the three examined objects. The tin content is very low. The composition of the three objects is homogenous. The tube section of the lituus was made of a single piece. Figure 1 – XRF analysis on a point of the lituus surface. 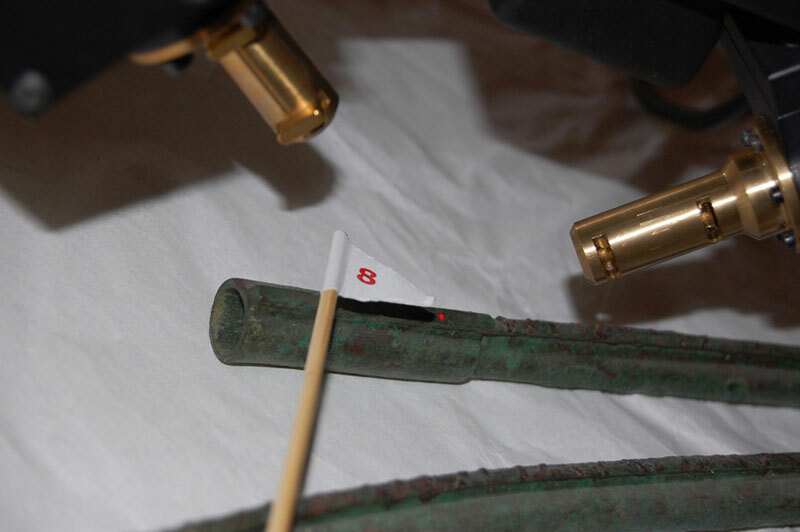 Figure 2 – Video microscope observation of the axe’s surface during the XRF analysis. Figure 3-4-5 – Phases of the work during which the point of analysis is carefully documented by photograph and marked by a number. Figure 6 – Radiography of the lituus from Tarquinia, showing that the tube section is made of a single piece. 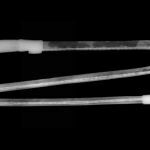 The two fractures on a part of the tube were soldered, giving the appearance of a joint between two separate pieces. The radiography was taken by Claudio Falcucci.